COUNCIL BLUFFS, Iowa - If Chris Christie becomes the next president schools probably won't be required or even encouraged to serve lunches filled with fruits and vegetables. That's because Christie said he doesn't believe the president should have a say in school lunches. Those, he told voters in Council Bluffs, Iowa should be up to the parents. "Doesn't the president of the United States have anything better to do than to worry about what you are having for lunch? Let me tell you this, I don't care," Christie said Monday when 11-year-old Jacob Royal, who traveled from Nebraska to hear Christie speak, asked the New Jersey governor what he would do to make the lunches better. "They were fine when Mrs. Bush was the First Lady but now that Mrs. Obama is the First Lady they have gone down," Royal said when he asked Christie how he was going to fix school lunches. In particular, Royal said, he does not like the "gluten-free stuff." Michelle Obama has made healthy eating and exercise a central part of her work as first lady. She lobbied for passage of the Healthy, Hunger-Free Kids Act in 2010, which provides funding for school where the meals follow federal nutritional standards, passed in 2010. After complaints from school nutrition directors, who said the standards were costly and restrictive, and kids, who just didn't like the meals, Congress voted to ease the standards at the end of 2014. Christie said Michelle Obama has "no business" trying to determine what kids should be eating at school. "If she wants to give her opinions about what people should have for breakfast or lunch or dinner, she is like any other American, she can give her opinion. But using the government to mandate her point of view on what people should be eating everyday is none of her business," Christie said. "I think that this intervention into our school system is just another example of how the Obamas believe that they've got a better answer for everything than you do," he added. Christie gave a short anecdote about how his own children who used to take the healthy lunch that his wife made them but then buy the lunch at school, too. 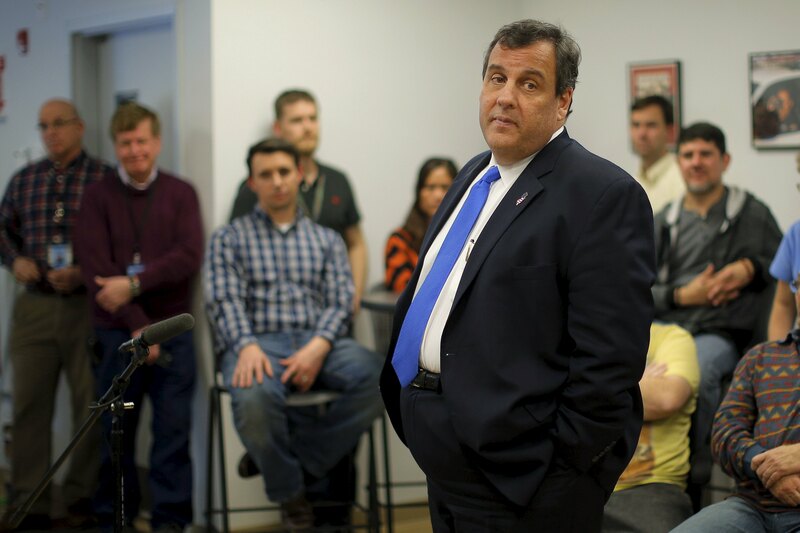 "You will throw it out and eat what you want to eat," Christie said. "I know what you kids are up to." But 2011, the governor was quoted by The Telegraph as saying he supported the First Lady's initiative to get kids to eat healthier. Christie said it is "a really good goal to get kids to eat better." He added, "I've struggled with my weight for 30 years. And it's a struggle. And if a kid can avoid that in his adult years or her adult years, more power to them. And I think the first lady is speaking out well." Royal was pleased with Christie's answer. "I think it is good," he told reporters. "He said he can probably change it." He especially wants back the "crispitos" that he used to have at lunch, because the new version is not up to his standards. "Now, their version of crispito the tiniest tortilla shell they can find. They cook it for two minutes. Literally, two minutes. And then they put two pinches of beef in it and then they give it to us. And then they call that food," Royal said. Others in the room agreed with Royal and Christie that the government should stay out of school lunches. "I think he is right on the mark. We pay for the food and then they do not like what is being served," said Lynn Lyons of Council Bluffs who had come to the event with her 17-year-old son. She doesn't believe the government should press for particular nutrition requirements. "I think they can put the information out there but the parents make those decisions," she said.